The Port Macquarie Shared Health Research and Education Campus is a collaborative project between UNSW Australia, the University of Newcastle and North Coast Institute of TAFE. The new facility, located adjacent to UNSW’s Rural Clinical School and Port Macquarie Base Hospital, was officially opened by Federal MP Dr David Gillespie. It includes state-of-the-art laboratories for the teaching of anatomy, clinical skills and medical sciences. Also on site are medical simulation facilities, two lecture theatres, tutorial rooms, computer laboratories and a large study area for student research, all fitted out with the latest technology. UNSW Medicine’s Acting Dean, Professor Terry Campbell, said the Campus marks the beginning of a new era in education for the region. 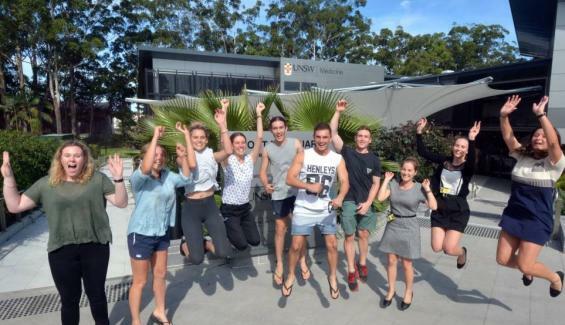 “From 2017, students offered a full six-year undergraduate medical degree in Port Macquarie will be able to access the same course content and standard of teaching as their Sydney-based counterparts,” Campbell said. “Expanding our offering from four years to a full six-year undergraduate program builds on the success of the Rural Clinical School and we will continue to work with our partners and the community as we finalise our plans for 2017. UNSW is the first university to offer a a full six-year undergraduate medical degree in a regional centre in NSW. Associate Professor Sandy McColl, head of the UNSW Rural Clinical School campus at Port Macquarie, predicted the facility would have a positive impact on the number of doctors practising in regional areas, and also enrolments of Indigenous students. “Research shows that students who come from rural backgrounds and those who study for extended periods in a rural area are the most likely to live and work in a rural area. 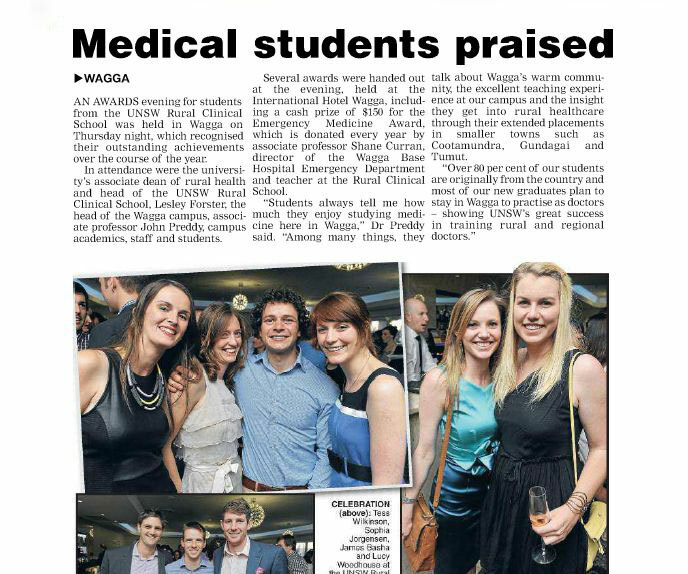 “More than 80% of medical graduates from the UNSW Rural Clinical School’s five campuses [Port Macquarie, Coffs Harbour, Wagga Wagga, Griffith and Albury/Wodonga] have indicated their desire to practise long-term in rural areas,” McColl said. Russell Kilpatrick, Head Teacher, Allied Health and Life Sciences, North Coast TAFE said with a 25% increase in Allied Health services-related jobs forecast, the TAFE has fast-tracked the development of flexible training programs not previously available on the North Coast, including Primary Health Care for Aboriginal workers and Dental Assisting. Mr Trevor Gerdsen, Director Regional Campuses at the University of Newcastle, said the doubling of Federal funding for the university’s Rural Health Multi-disciplinary Training Program will allow it to expand Allied Health clinical placements across the region in partnership with the Mid North Coast Local Health District and other providers. Check out the PRESS ROOM for more RCS stories.